Rakkiyappan Chandran left the remote village of Ooty, India to travel to America, and pursue a PhD in Nanoscience at UNCG’s Joint School of Nanoscience and Nanoengineering (JSNN). Chandran decided to attend UNCG because of the numerous opportunities available to scientists and engineers. 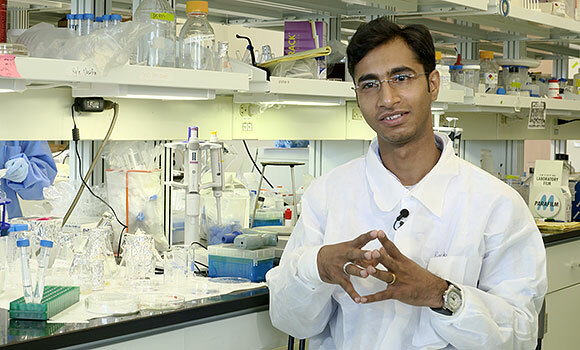 After earning his PhD, Chandra plans to enter academia to continue his research and hopefully inspire others in his hometown to study in America.